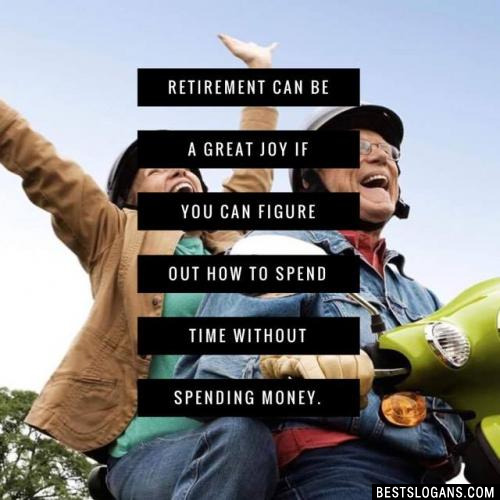 Collection of the best retirement sayings, messages, positive words and phrases for cards and greetings. Most retirees are prepared for more free time and less stress, but some other aspects of retirement could be unexpected. Here are some retirement facts that may surprise you. Based on GoBankingRates' recent survey, a third of American households have $0 saved for retirement. 56% of Americans don't have withdrawal plans in place to access their money in retirement. You need 40 lifetime work credits to qualify for Social Security. A maximum of four can be earned each year. The average senior signs up for Social Security benefits at age 64. Most people don't understand Social Security. From a survey of 1,500 people by MassMutual Financial showed that only 28% could correctly answer seven or more true or false questions correctly out of 10. Sending your retirement wishes is a good way to honor hard work. The best messages acknowledge accomplishments, use a little humor, and wish the retiree a great future. Even with great intentions and efforts, retirement messages can be difficult to write for a co-worker. If you have to remain in the workforce yourself, you might find that you feel envious when someone retires. 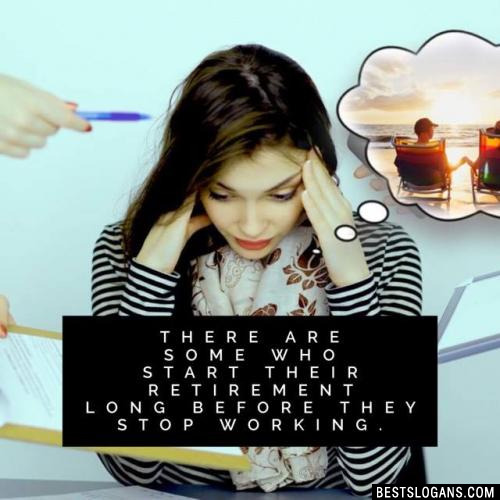 Don't let your envy prevent you from wishing a retiree a happy retirement. Keep in mind all the time they invested at work to achieve this goal. 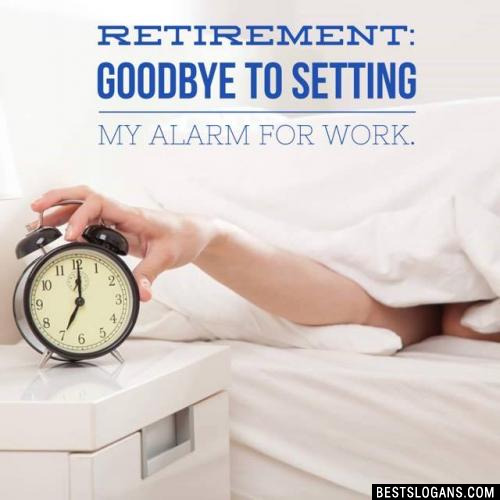 Retirement: Goodbye to setting my alarm for work. 4 The money's no better in retirement but the hours are. 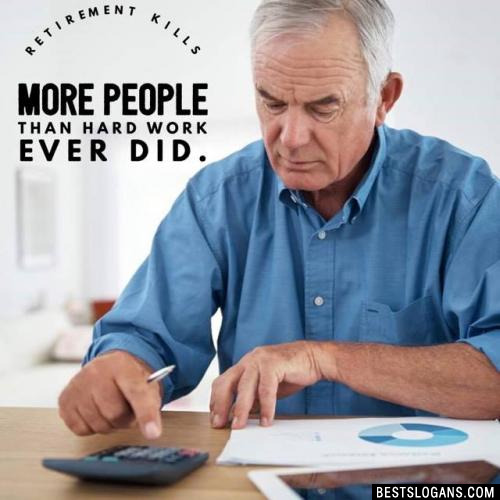 5 Sometimes it's hard to tell if retirement is a reward for a lifetime of hard work or a punishment. 9 Retirement is to leave office and to live at home with more appointments of extended family. 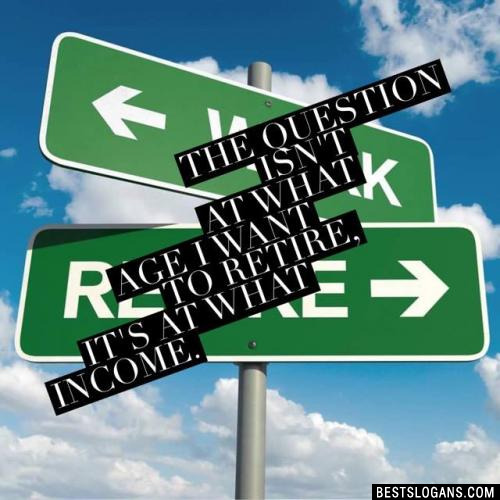 10 Retirement is the ugliest word in the language. 11 When you quit working just before your heart does. 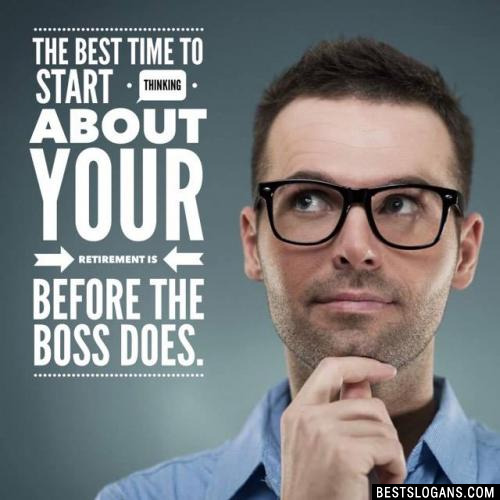 12 When you retire, you switch bosses - from the one who hired you to the one who married you. 13 Retirement is having nothing to do and someone always keeping you from it. 14 You are only young once, but you can stay immature indefinitely. 16 Youth would be an ideal state if it came a little later in life. 17 Retirement at sixty-five is ridiculous. When I was sixty-five I still had pimples. 18 Retire from work, but not from life. 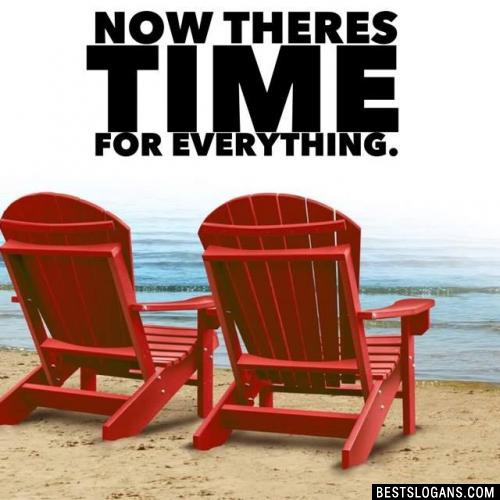 Now Theres Time For Everything. 20 Middle age is when work is a lot less fun and fun is a lot more work. 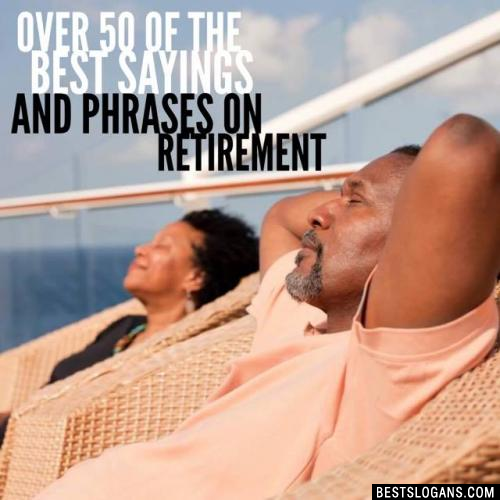 Can you think of a good Retirement Slogans we're missing? Or come up with a clever one of your own. Please share below.